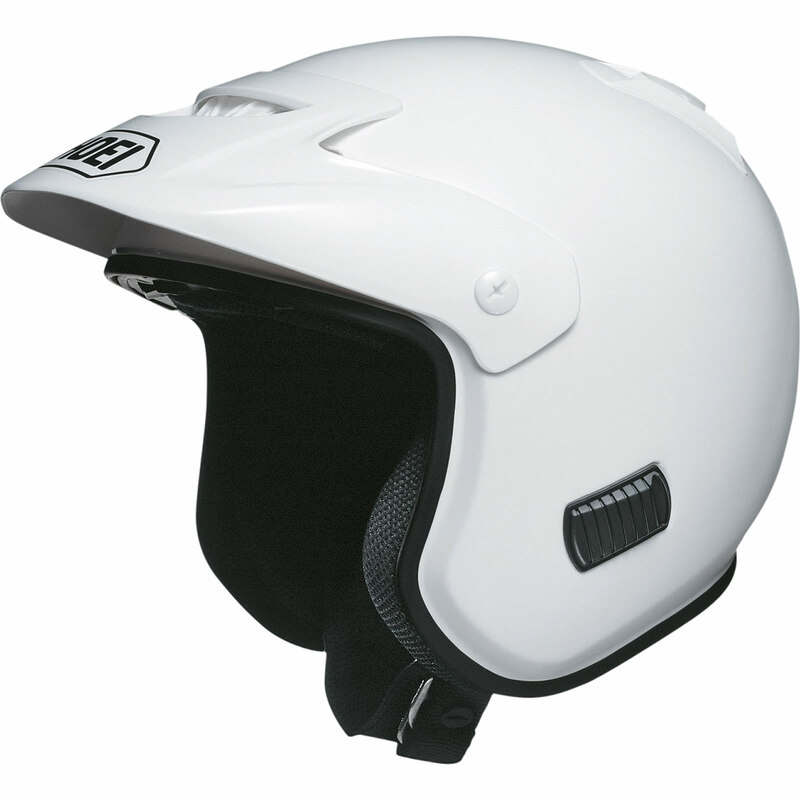 The Shoei TR-3 Plain Trials Helmet is part of the latest Shoei collection. The Shoei TR-3 helmet represents the accumulation and implementation of all of Shoei's race know-how. 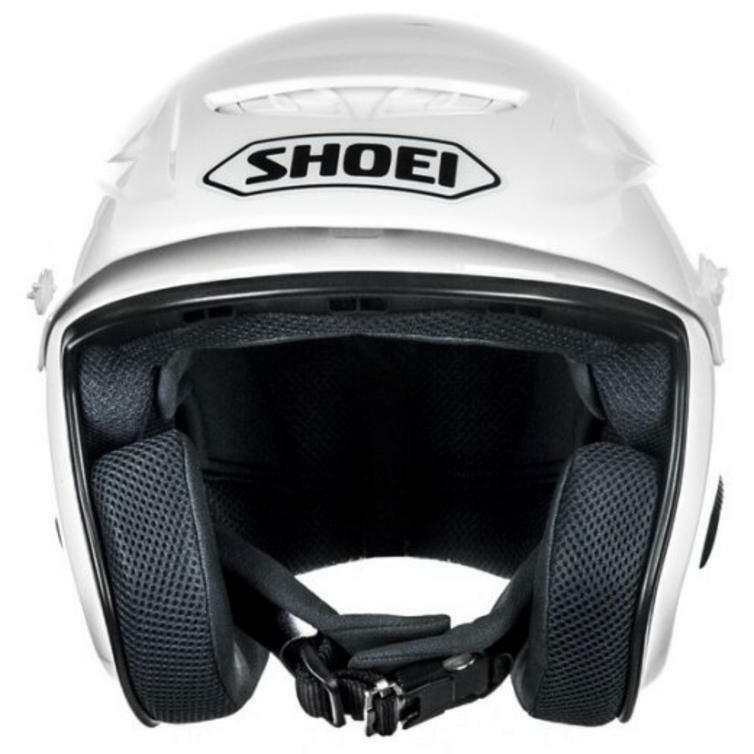 Shoei's trials helmets have been used by most of the champions of Japan's All Japan Trial Championship and are used by almost 80% of current All Japan racers. 20 years of working with the top racers in the field has distilled into the production of the brand new TR-3 helmet, a sure-fire winner on the trials scene. View all Shoei TR-3 Trials Helmets. View all Trials Helmets. Ventilation System - A good ventilation mechanism is essential in trials races where continuous high speed riding does not exist. The TR-3 is equipped with a 9-point ventilation system. In addition to conventional intakes, a ventilation hole which works for absorption and exhaust depending upon angle is located in the forehead. And also, a riding wind is absorbed through the ends of the interiors at the top forehead to reduce bad vision caused by sweat or discomfort. The TR-3 features Shoei's cross vortex system, a crystalisation of SHOEI's aerodynamics technology, for ventilation of air inside the helmet using a negative pressure even in low speed. Outlets are located at both sides of the helmet for the exhaust of hot air around the ears. Improvement of Motion Performance - In trials where high motion performance is required, the cutline of the helmet's rear bottom is an essential factor in addition to the variable mechanism of the peak. When you look up at the top of rock, you may change the direction of your face freely. This was realized from feedback from SHOEI's long-time racing experience. 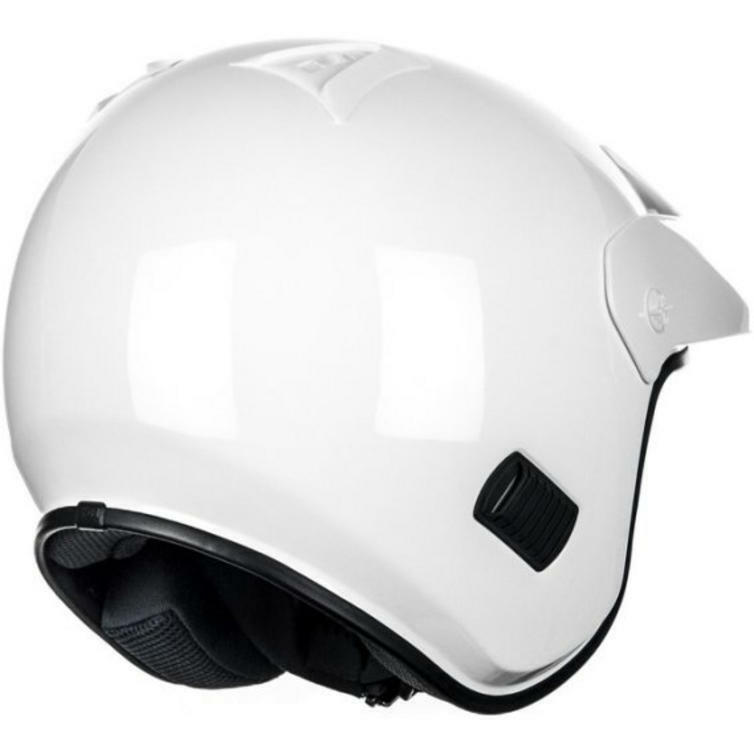 Side Outlets - Side outlets located on both sides of the helmet makes it easy to hear external sounds such as the sound of the engine. It is crucial in trials in order for a great performance to have perfect accelerator work in communicating with the engine - and being able to hear the audible feedback from the engine is an integral part of this. Fully Removable Interiors - All interiors including the chinstrap may be easily removed. Mud or sweat - inevitable in trials - can be cleaned to maintain a clean fit. When you have replacement interiors available, the interiors may be changed between long races or sections for refreshment. One Touch Buckle - Quick release fastening of the chinstrap for easy fixing and removing - particularly useful considering the frequent removal of a helmet in trials.